Over at BabyHalfOff TODAY 11/9 ONLY, you can pick up GEN-Y Classic Diaper Covers 50% Off – only $8.50! “GEN-Y Classic covers are virtually leak proof and very easy to use. An inner layer of PUL acts as a waterproof barrier, but is soft and flexible. The waist and legs are gathered so nothing escapes your diaper. Our binding is super soft, non wicking jersey for your little one’s comfort. 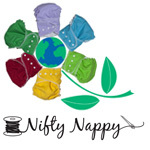 Poly-resin snap closures allow air circulation, are more difficult for your baby to undo, and won’t snag or wear out with Machine wash/ dry with your other diapers… What’s not to love?” I have not tried these myself, but many CDing Mamas love them. I know they’re cute prints. Also, a BONUS deal, if you miss the deal before they’re all gone, there’s a promo code for use on the GEN-Y site: 10% off all GEN-Y covers until November 30: BHOFAN. November 14-20: Free gift with every purchase! November 21-30: 10% off Melissa & Doug toy preorders, 15% off in-stock items. November 1-30: 10% off Applecheeks products, free fleece liner with every diaper, half-price diaper trial package rental fee. 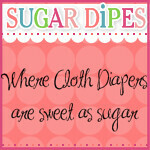 They’re also a sponsor for the Great Cloth Diaper Hunt. If you haven’t registered to hunt, or haven’t been hunting yet, head over and check it out. TODAY ONLY: Urban Fluff iCandy Starter Sets 50% off! Check out the deal over at Baby Half Off today: Urban Fluff iCandy Starter Sets 50% off – for $24.25! Lots of Diaper Deals lately! This system has a cotton outer-print “wrapper”, a snap-in waterproof liner, and a lay-in soaker. So… sounds similar to gdiapers, if you’re familiar with those. But these are awesome prints! Very trendy. Valid today, 11/3 only, while supplies last. MiniBargainz STILL has the FuzziBunz Perfect Size diapers for $11. Again, not sure how long this is going on…. Over at EcoBabyBuys they have Minkee Diaper Covers by GenY for $12.60 = 40% off regular price! Valid today, 11/2 only, while supplies last. Over at BabySteals grab the Swaddlebees EcoNappis for $15.95 – 45% off regular price. GO NOW! they’re going fast! These are one-size diapers, fitting approximately 7-35 lbs. Available in snap or hook & loop. But want to know my favorite part? The ADORABLE prints! Hey, looks like Cutie Poops and Bottoms has done it again! Love how they get cool and new products in all the time. 🙂 Right now, they’ve got One-Size Camouflage Covers from 4ward Thinking – Only $15! Available in Tan or Green Camouflage. These are made by a WAHM and are made with a waterproof inner pul liner with adjustable front snaps for the rise. The cover itself snaps at the sides to reduce the amount of snaps up front. Fits approximately 7-30 lbs. Go check it out – would be great for boys, in general, or children of military parents!